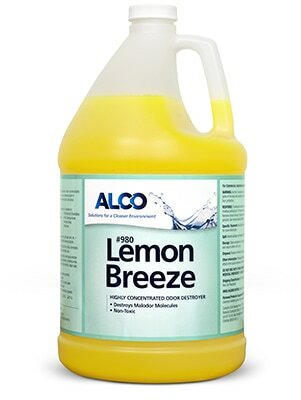 Alco Lemon Breeze - Alco-Chem, Inc.
Fresh lemon fragrance odor counteractant combats the odors that plague our environment. A strong counteractant boosted with ODM additive. Lemon Breeze filters out unpleasant odors and leaves a pleasant lemon scent.